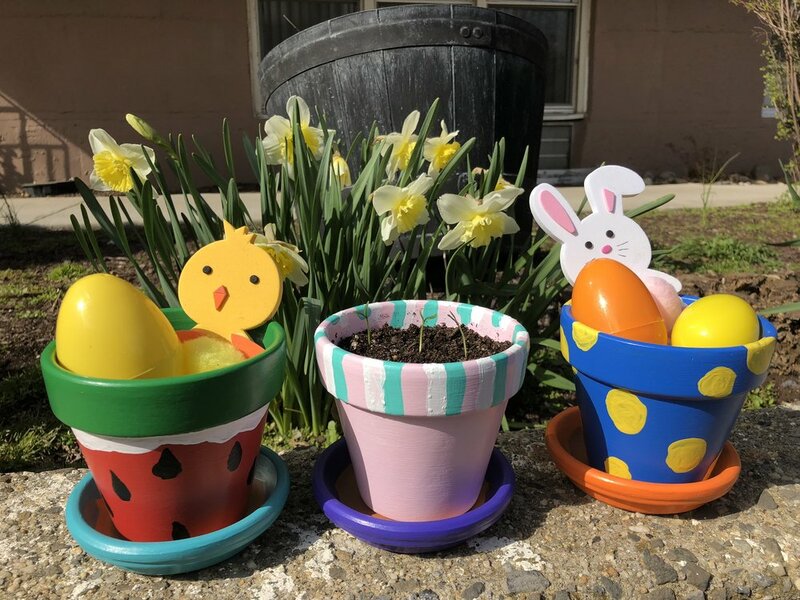 At this fun spring event, children will get to choose from simple to complex designs or come up with their own design that they can paint onto a plain planter. They will learn how to use paintbrushes of different sizes, how to create patterns by repeating lines and shapes, and how to use more than one coat of paint to make their colors look more vibrant. When children are finished, they will also get an opportunity to add soil and choose from variety of seeds to plant. Open to children ages 5 and up. Parents may stay or drop off their child. Baby and Me Yoga classes at Learning Lab are designed to enhance the bond between mother and infant through movement and breath. Babies are natural yogis and will develop their gross and fine motor skills through poses. Accommodations are made to challenge babies on the move, as well as encourage younger babies’ skills to develop. The group setting will support socialization, language, and cognitive and emotional development. Yoga relieves stress for both mother and infant, calming the mind and relaxing the body. Through this 45 minute class, we will work together to address postpartum concerns, create a safe space to move openly, and develop a sense of community. We will learn to re-strengthen our core, pelvic floor muscles and alleviate tension in the back, neck, and shoulders. Babies will also be introduced to seeing other children and create a sense of body awareness. The goal of this class is to start to create healthy habits that are easy to maintain and will last a lifetime. Babies should have developed head control already, and mom should be medically cleared for physical activity by her doctor. Mothers are fully participatory and present through the session. Each time that Learning Lab's Chess Club meets, we focus on a different skill or strategy, challenge children to solve chess puzzles, and give kids a chance to play both mini-games and full games. Open to children of all ages. Parents may drop their child off. Children will learn about pysanky, Ukranian Easter eggs that are a part of an age-old tradition of decorating whole eggshells with elaborate geometric patterns and pictures. 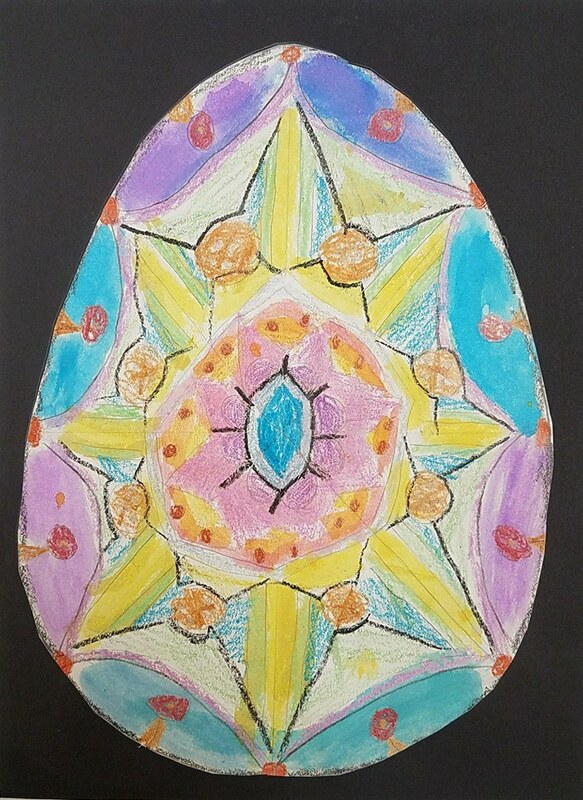 After looking at lots of examples and examining the designs, children will create their own designs on paper using a technique similar to the technique used to create actual pysanky eggs (crayon and watercolor resist, mimicking the wax resist technique used to create pysanky eggs). Open to children ages 5 and up. Parents may drop their child off. However, parents are welcome and encouraged to stay and participate! Sewing Crafts classes are taught by costume designer Amelia Dombrowski. Each week, students create something unique, such as a backpack charm or a stuffed animal/monster. No experience is necessary and both boys and girls are welcome. All materials are provided in order for students to design with simple embroidery techniques and a variety of trims. Sewing machines will be available for children 8 and older to use. At our chess workshop, your child will get a chance to learn the basics of the game of chess through fun, interactive activities. They will also get a chance to practice what they learn and try playing the game with other participants with plenty of guidance from our staff. Open to children ages 6 and up. Parents may drop their child off. However, parents are welcome and encouraged to stay and learn alongside their children or support their children as they learn! Please stay tuned for chess classes and a possible chess club! Learning Lab’s mid-winter STEAM Program is a great opportunity for kids to stay engaged in learning and have a ton of fun at the same time during mid-winter recess. Days consist of winter-themed activities that tie together all the components of STEAM as well as literacy. Each day, children will be presented with a real-world challenge. They will then work as part of a team to identify problems, develop possible solutions, and test and evaluate solutions. They will also complete related activities that incorporate science, technology, art, math, and literacy. Learn all about Chinese New Year and try your hand at paper-cutting, a traditional Chinese art form that is often used to create Chinese New Year decorations. Children attending this event will first learn about the holiday and the traditions involved. They will then get a chance to discover the age-old Chinese tradition of paper-cutting and try it themselves with lots of guidance. Children will be able to choose from simple to difficult Chinese New Year designs or even create their own! Open to children ages 6 and up. Parent/s may drop off their child. However, parents are welcome and encouraged to stay and participate! Children attending this event will get to explore different printmaking techniques while creating Valentine's Day cards. Children will create up to two printing plates from which they will be able to pull multiple prints. By the end of the class, they will have designed and created several Valentine's Day cards that they can give to friends and family! Join us for a fun snowman canvas painting class! Children will get to use acrylic paint on high-quality stretched canvas. They will receive lots of support and be able to get creative with their snowperson. Younger children will learn basic techniques while older children will be challenged with more advanced techniques such as using light and shadow. Open to children ages 6 and up. Parents may stay or drop off. Parents may also participate (class fee applies). Our “Investigating Techniques Classes” support students in developing their art-making skills and exploring personal areas of creative interest. Students get the opportunity to work with all of the elements of art (line, shape, color, space, form, value, and texture) as well as many of the principles of art (rhythm, balance, emphasis, proportion, gradation, harmony, variety, and movement). Students will gain experience with all major types of art-making and get to work with a wide array of mediums. Learning Lab's “Art Exploration Classes” provide younger elementary students (kindergarten through second grade) with an introduction to art-making skills. Students explore basic elements of art such as line, shape, and color through various types of art-making, including drawing, painting, collage, printmaking, and sculpture. They also get the opportunity to work with a wide range of mediums from oil pastels and colored pencils to watercolors and tempera paint. Learning Lab's Yoga for Kids classes are a time for kids to explore ways to use their bodies in a playful, noncompetitive, and supportive environment. Classes are led by a certified yoga instructor and help children to strengthen their bodies while also developing an understanding of their own emotions and thoughts. Children also connect with others and build a foundation for being able to relax, cope with stress, and refocus and concentrate.